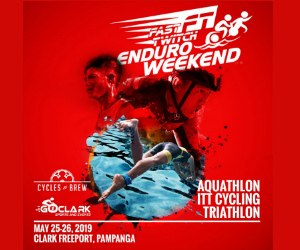 TRI-Factor was able to gather top triathletes from 20 countries with a mix of Elite Athletes, Age Groupers and Fresh Athletes. Hundreds of athletes from China, Singapore, Indonesia, Malaysia, Philippines, Hong Kong and the host country,Vietnam raced. 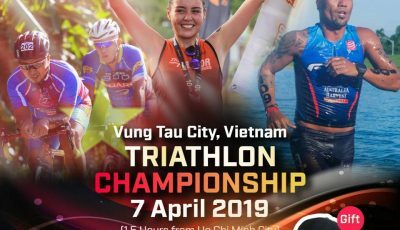 The TRI-Factor Triathlon Vietnam event was hosted in Vung Tau, a beautiful beach city with 42km coastline surrounded by mountains and natural river made it a true triathlon destination. The race swim course at Back Beach (named Bai), was evaluated the most difficult and toughest swim course of triathlon races organized in Vietnam. The fast bike course and scenic run course had been also voted on the best course in Vietnam. Australian PRO Mitchell Robins top the male TF Enduro category (1.5 Km Swim –80 Km bike – 20 Km run) with a formidable time of 4 hours 5minutes and 28 seconds, 4 minutes ahead of Vietnamese Cao Ngoc Ha and Le Hoang Vu who finished in a time of 4 hours 9 minutes and 2 seconds and 4 hours 30minutes and 8 seconds respectively. 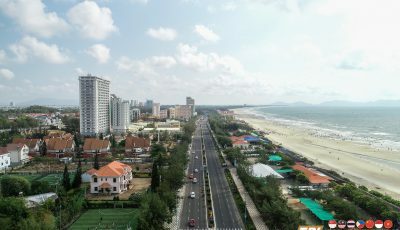 Mitchell commented that the swim course was challenging and technical but the fast bike ride and scenic coastal run make this one of the top triathlon race course in Vietnam. “The event organisers, volunteers and local police did a really great job of closing the roads and keeping them closed – not an easy task in Vietnam. Off the bike and onto the run, the sun was out and it was HOT. I wanted to run right into the ocean to cool down, but soon enough I was near the finish and a cold Saigon beer!” Robins added. Indonesia Elite Athlete, Nethavani Octaria took the Women’s TF Enduro category with a total time of 4 hours 49minutes and 39 seconds way ahead of second place Emma Payne and third place Pham Nguyen To Phuong with a time of 5 hours 14minutes and 2 seconds and 5 hours 27minutes and 33 seconds respectively. Co-founder of TRI-Factor and Managing Director Orange Room, Elvin Ting said: “We are excited with our inaugural successful event in Vietnam and I am humbly honored to have so many International TRI-Factor participants racing at this event. I do look forward to work with our partners Key Power Sports Vietnam and Vietnam MTB Series to grow the TRI-Factor vision further in Vietnam. 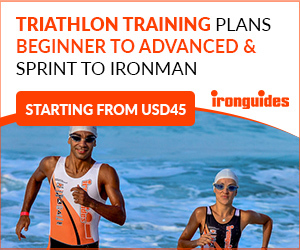 TRI-Factor Vietnam team look to recruit more participants across Asia to join in the TRI-Factor movement and inspire more to swim, bike and/or run. 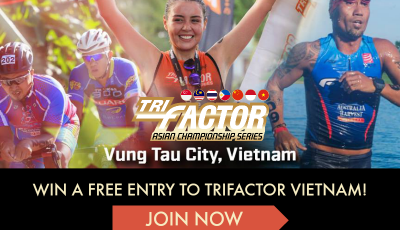 For complete race results, visit www.trifactor.vn or TRI-Factor Vietnam Facebook page.